While many states in the U.S. are considering alternatives to criminalization for drug crimes, in North Carolina, possession, cultivation and trafficking in any drug are serious criminal offenses which can result in jail time, even if it’s “just marijuana”. Prosecutors in North Carolina tend to have an aggressive attitude toward drug related crime. Sometimes their perspective is to push for ultimate penalties. The resources they employ to ensure convictions are enormous. It is imperative that you have a tough, knowledgeable criminal defense lawyer to help level the playing field, because the cards are stacked against you. Jason Wilson focuses 100% of his practice on defense of criminal charges in Western North Carolina. He will work to defend your rights without judgement as to the type of drug charges you are facing. Having an experienced criminal trial lawyer on your side is of paramount importance when you are facing charges that carry minimum mandatory sentences. Drug related cases are complicated. Creative, intense defense is often times the difference between jail time and a more desirable outcome. Jason has been defending Western North Carolina citizens against drug charges for nearly a decade. 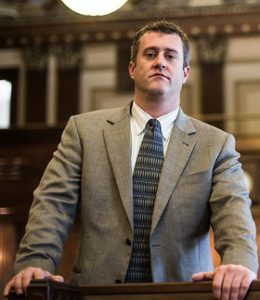 Jason Wilson offers effective, knowledgeable criminal defense for an array of different drug charges. Jason Wilson has a strong understanding of the methods the authorities use, and has the resourceful means to evaluate your case and achieve the most effective results. If you have been charged with a drug offense or are being investigated, now is the time to begin a forceful defense. Call Jason Wilson for your consultation today.